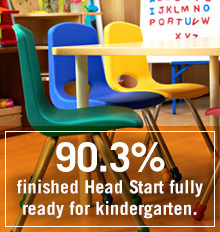 Quality early education is vital to the future of our community. CSC relies on donations to help purchase classroom materials and equipment; provide training to keep staff current with best practices; offer parenting education and expand arts, science, technology and math education. Endowment fund: Provide operating or special funds needed over time. Scholarships: Help children who are otherwise eligible for Head Start but not funded. STEM training for teachers: Help us provide training to preschool teachers throughout Northeast Pennsylvania. The Newton School: Support our unique STEM curriculum that focuses on experiential, project-based learning to promote critical thinking and problem solving. Donations are used for guest scientists; educational field trips; replacement materials and books. SafeStart: Help abused and neglected infants and toddlers reach their developmental milestones through daily intensive physical, speech and mental health therapy. Unrestricted: Allow us to direct dollars where they are most needed, whether for books, classroom equipment or emergency utility funds for families. CSC is approved by the Pennsylvania Department of Economic Development to receive EITC tax credits. Consider CSC in your estate plans by joining our Legacy Society. Donate a car by visiting www.donationline.com for more information. Questions? Contact Celeste Voyer, Director of Fundraising and Public Relations, at cvoyer@cscinc.org.